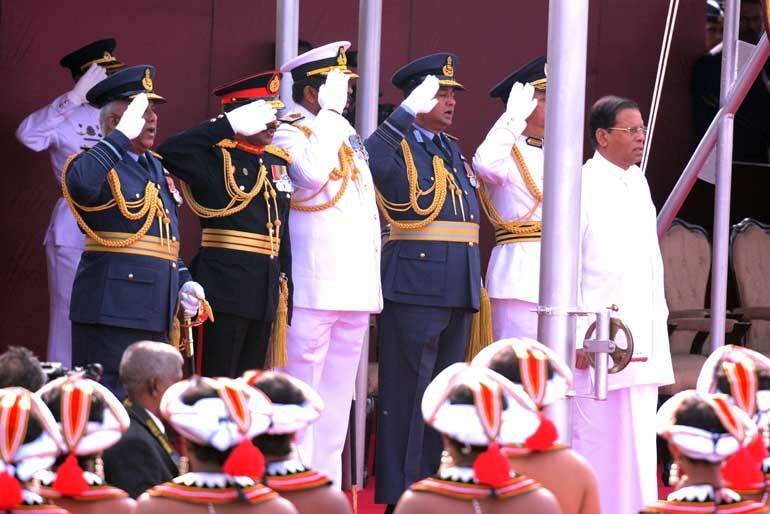 Sri Lanka quite proudly celebrated the 68th anniversary of her independence and did introduce quite a few important variants too to the way it was carried out. There is no question, like individuals, a nation too can cry out for freedom as freedom is a magical attribute where you only appreciate it once you have lost it. That may be the reason that one goes on celebrating on this day of 4 February even after 68 long years with the same spirit and exuberance. While celebrations and salutary messages are all good and accepted, one should be watchful about the path that one is treading as in this fast-changing world, independence may not exactly mean the shear absence of a conqueror from another nation. We are moving through times where the national boundaries are getting blurred though we try very hard in enforcing such, and mass mobility and technology has meant some identify themselves as global citizens and using bitcoins. Yet, while acknowledging such developments, it is worth taking a relook at our real situation – is there a strong dependency attached to our independence and if unchecked there is all the likelihood of a scenario of going down or under again and in this more connected globalised world extricating oneself from the resulting mess may not be all that easy! The dependency is really seen when one looks searchingly at the economy. The Ewing Marion Kauffman Foundation in USA in one of their annual publications – Ideas at Work – wrote “a country can only have peace and prosperity when its people truly own the economy”. Now this statement is well worth close scrutiny. The Kauffman Foundation supports innovation and entrepreneurship development across the United States and connecting peace and prosperity with people owning the economy is indicating economic freedom. Knowing the power of technology and its fast pace of development, parading military equipment when placed under this definition only demonstrates false security – 99% of these assets only tie our economy to another as there is no real manufacturing capability with us. An absence of a ball bearing, if it fails to appear on time, can cripple security! An extension to this line of reasoning implies that with such dependence it really would be impossible to defend truly the independence as external dependence is huge and unsustainable. Applied broadly we measure our economic strength at times or issue statements to console ourselves indicating having foreign exchange reserves to support four to five months of imports. Are we to be happy about a situation of a nation’s ability to support needs for a period as long as five months? the answer really should be a resounding ‘No!’ Yet most of us are happy and soon get back to our way of living without any further thought. Moving from the military to the religious, is the situation different? However, religious and proud we may be of being the home to Buddhism, we have to import most of the items of ‘Ata Pirikara’ and what is always in demand is what is produced outside even by those who have shunned greed and cravings. We may not really understand the implications of requesting and pursing only a particular colour or a particular textile. Our mind has embraced a dependence which works against the Kauffman statement. It is evident that our manufacturing sector is quite weak. It deploys lots of labour and face significant productivity issues. The nature of our manufacturing is almost elementary and the two main messages from the Harvard Economist who graced the recent Economic summit were – diversify exports and impart productivity to agriculture. Quite simplistic and one should ask if that is what the good professor had to say after travelling such a long distance. Well he really should be excused as he has to say what he did observe and the question that we should be asking from ourselves is why for 68 long years after independence we have not acted on these basic factors. As the people’s president, he relentlessly pursued activities in line with such a vision. The strength comes from abilities demonstrated within. It is not surprising to find Indian media proudly showcasing what India has done and can do to its masses on an Independence Day. Listing out long lists of best wishes would not go far. An interesting example I remember is the special issue of India Today when India was celebrating its 55th year of independence. 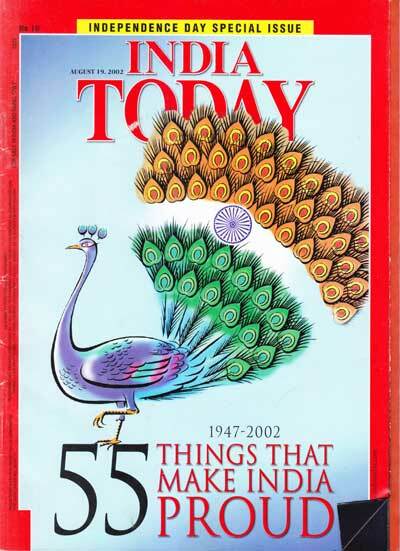 It rolled out a magazine with specific information on 55 things that make India proud – one per each year of independence. The contents were interesting as it avoided looking at individual achievements but focused on worthy institutions which may not be perfect but are laudable given India’s special circumstances. The editorial further stated that these institutions have successfully withstood shoddy politics, shoddier politicians and a general deterioration of standards, and had made India proud. That is an article and a special issue to digest well. It is important to contemplate having our own version for 68 years of independence and to think equally of 68 institutions that have withstood the test of times and delivered explicitly. Any media house which can take up this challenge? May be one can start planning for the 69th year of independence before the dependency culture ruins badly our rubric of independence. We need to start counting and communicating facts to demonstrate that there is so much in Sri Lanka to be proud of. If the answer is not in an affirmative, then there shall be the collective movement to set things right as otherwise we just may be celebrating ‘falsehood’. Kalam indicated very strongly the importance of the manufacturing sector even while the knowledge society was growing. He knew that jobs cannot be created without that sector. There is a saying that any society and any nation is judged on the basis of how it treats its weakest and its moral progress can be judged by the way its animals are treated. There is no single owner to this statement but the validity is important. One can paraphrase this with respect to waste and can be correlated to processing prowess. Today the nation – may not be as a whole but most certainly the commercial capital – is embroiled in finding a way to work with waste. The amount of exchanges of ideas, meetings and high level discussions carried over so many years must be making our garbage really feel sorry about us – indeed if they can think and demonstrate some emotions. At no time in these discussions is the thought that it’s the waste that we all collectively generate and thus there is a moral responsibility to ensure proper management by ourselves entertained. That some sound manufacturing effort can really solve this issue is not understood. We await the answer from elsewhere – waste management knights in shining armour to come through with all good intentions, enabling the ‘Pearl of Indian Ocean’ to regain its glory. Planners need to embrace manufacturing and not just with the idea of serving Sri Lanka but the rest as well. The incoming quality consciousness will be of significant. How can we swell our chests with pride, knowing that what we have done has not delivered resilience, credibility and strength? We need a change in our way of doing things. We appear to put the party in front rather than the nation. The intensity of arguments over such issues is almost nauseating to watch. Two important elements for good governance are effectiveness and efficiency in one hand and strategic vision in another. The former towards meeting our needs through the best use of resources and the latter ensuring a long-term perspective – certainly not from one meeting to another – on what is needed for society gains respect! We should just not be celebrating but working with our thinking hats on. Both these areas science and technology are very much needed and excelling in this sector has that magic effect of liberation. If we fail to understand these, for sure independence is going to be frittered away.